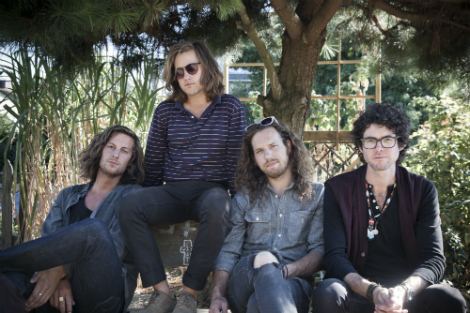 Vancouver-based Yukon Blonde are gearing up to release their newest full-length album, Tiger Talk set for a March 20 release with Dine Alone Records. The first single (“Stairway”, below) has the band sounding the poppiest I’ve ever heard them, and will be release on 7″ vinyl January 31. 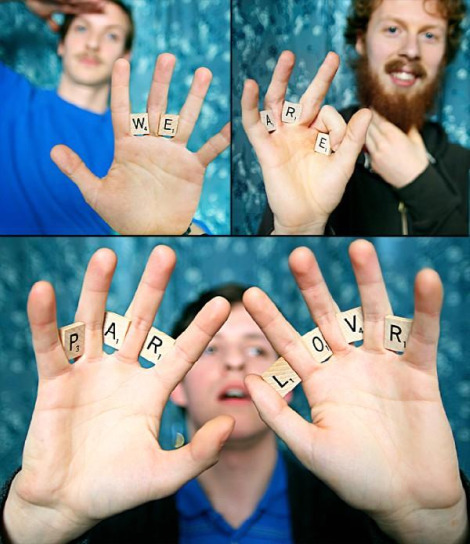 The band are currently in the midst of a world-wide tour, look for them soon in the US on their way down to SXSW. The Colin Stewart (Black Mountain, Ladyhawk) produced record features tracks that are short and punchy, as the band ‘trimmed the fat and packed hooks and brisk tempos into streamlined arrangements’. Trading in the analog tape of their past work in favor of a crisp digital approach with synthesizer flourishes, this sounds like a positive new direction for the group. Not that they were doing anything wrong before, but perhaps they’ll be able to shake that too often used comparison to Fleet Foxes. Grab the song at their soundcloud. They are current in China doing select tourdates, look for an upcoming East Coast tour. The blog that is. Moved around some columns, links, banners and widgets. And for the first time ever, I didn’t break the blog in the process. Might be getting good at this web thing. 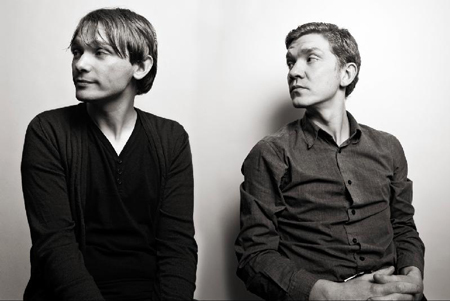 -After a self-imposed three year hiatus, Sunderland, England’s Field Music return with a new 20 track double album, to be released on the 16th of February 2010. Lucky fans in NY and Chicago will get a chance to get an early listen (check tourdates), but here’s the title track. Measure. -Land Of Talk have just debuted an amazingly beautiful video for “It’s Okay” (Directed by WeWereMonkeys). This video, along with two other recently released videos (The Man Who Breaks Things, Troubled), can be found on the bands new Fun & Laughter EP along with four new songs. -Also, from now until midnight on Saturday October 31, 2009, you can download the entire breakthrough, critically acclaimed, self-titled album Timber Timbre for FREE at www.timbertimbre.com. I heard they had one of the best sets at Halifax Pop, wish I had caught it. And finally, check out this video for Chosen Armies by Australia’s Children Collide. Its done in 360 panorama, allowing the viewer to change the perspective as the video rolls. Dig the song too. Dine Alone Records are presenting the North American release of their debut ‘The Long Now’, out today. Update your notes, the band formerly known as Charlemagne are now called Arkells. Check out Oh, The Boss Is Coming on MTV live. Their EP is available now on Dine Alone Records.